thanks to Black Opal Beauty. I have been using their True Color Pore Perfecting Liquid Foundation and Soft Velvet Finishing Powder. Both products are extremely lightweight, yet leave a matte flawless look. The foundation controls oil and renews skin’s radiance. The finishing powder uses Shade ID. Which is color adjusting pigments to expertly blend and match your color. Black Opal is one of the first companies to really embrace the variance in all skin tones. So say bye to an oily face and hello to you, but better..
IT’S A NEW YEAR, DO IT DIFFERENTLY…..
get rid of your old makeup, make room for It Cosmetics New Year, Your Most Beautiful You! 5 piece collection. 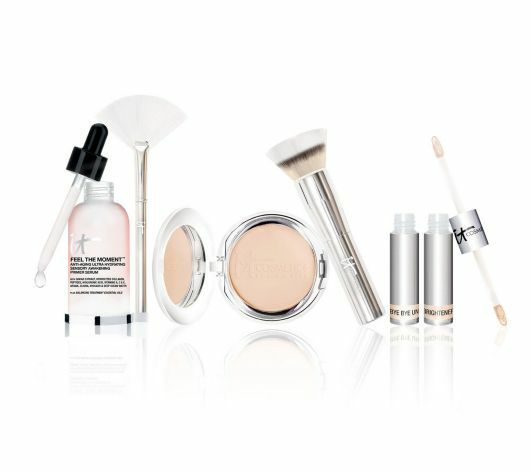 This collection is amazing for all types of skin and looks. You will look naturally flawless with this simple routine. Start with the Feel The Moment Anti Aging Ultra Hydrating Sensory Awakening Primer serum. Apply it with the included Heavenly Luxe sensory Sweeping Fan Brush. It will give you a poreless canvas, and it’s ultra hydrating. It is made with Caviar extract, Hydrolyzed collagen, silk, and other awesome stuff. Take a deep breath and notice the aromatic essential oils. Next use the Celebration Foundation Illumination applied with the Heavenly Luxe Double Airbrush Foundation brush. This gives a flawless look in less than 30 seconds. Lastly finish the look with Eyelift in a Tube. This is a combination bye bye under eye concealer on one end, and the Hello Light Liquid brightener on the other. 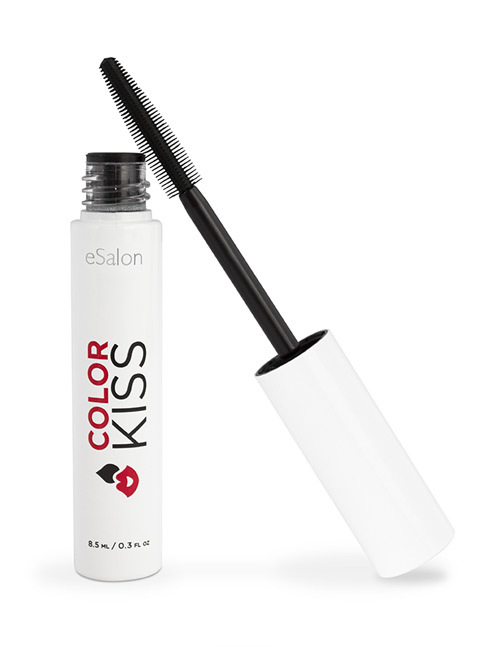 It conceals dark circles, and highlights perfectly where you’d like a little lift. All It Cosmetics are made with good for you ingredients. So don’t be shy, look better in 2014 with It Cosmetics, and meet some new faces…. Tags 5 Piece, airbrush, anti aging, aromatic, brightener, bye bye under eye, Caviar extract, Celebration Foundation, concealer, conceals, dark circles, Double, essential oils, Eyelift in a Tube, Feel The Moment, flawless, Foundation Brush, heavenly, Heavenly Luxe sensory, Hello Light Liquid, highlights, Hydrating Sensory Awakening, hydrolyzed collagen, Illumination, it cosmetics, lift, Luxe, New Year, poreless, primer, serum, silk, Sweeping Fan Brush, Ultra, Your Most Beautiful You! with Fake Bake Flawless Self-Taning Liquid. This product is incredible! It is one of the top 3 best ever incredible! It gives you a perfect Golden Bronze, without smell, without streaking, and without parabens. The liquid comes with a soft professional application mitt and purple gloves, to protect your hands, and evenly spread product. Flawless dries fast, and will not stain your clothes. All Fake bake products moisturize, and protect your skin without clogging pores, or causing irritation. So look Flawless while you fake it…..
With Miracle Skin Transformer Treat & Conceal for eyes and face. This amazing concealer with naturally derived silicone hydrates, enhances and protects , while keeping you looking flawless. It is easily blendable and lasts all day. Read more at www.miracleskintransformer.com. So transform your imperfections and enjoy the attention…..